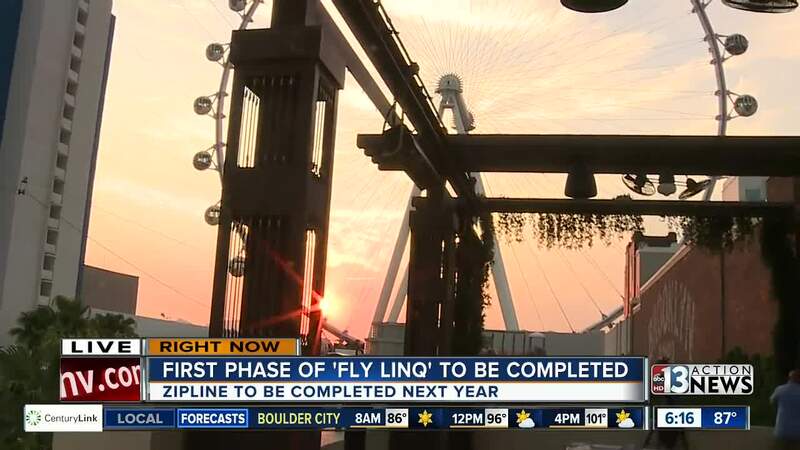 UPDATE SEPT. 11: Fly LINQ is set to open on Friday, Nov. 9. UPDATE SEPT. 6: Tickets are now on sale for the newest zip line in Las Vegas. 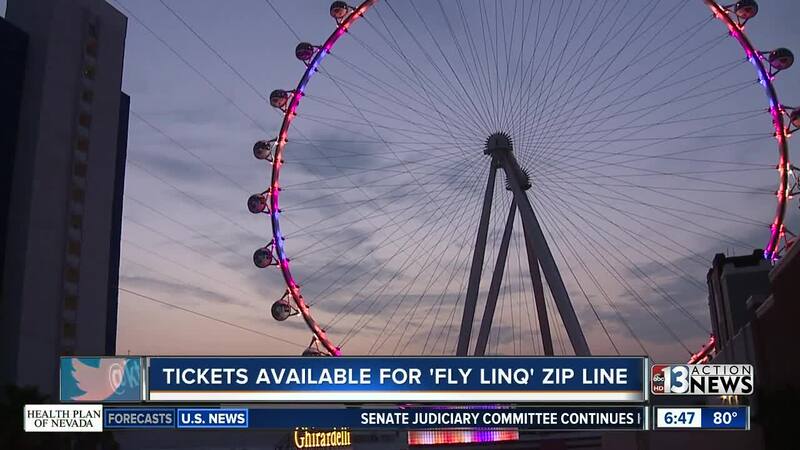 The zip line is named Fly LINQ and riders will be able to fly about The LINQ Promenade. There's a new zip line coming to the Las Vegas Strip and the first ride line has been installed. The zip line is currently under construction at The LINQ Promenade. The first line is being installed today. Eventually, there will be 10 lines. The zip line will run more than a 1,000 feet and end at the base of the High Roller observation wheel. The ride will begin roughly 12 stories above ground and the average speed is approximately 35 mph. The zip line will offer two options. Riders will be able to sit down or ride it "Superman" style. The zip line is expected to open near the end of the year.The cost will be $25 during the day and $30 at night. There are two other zip lines in the Las Vegas valley. They include the zip line at the Fremont Street Experience and the zip line at the Rio hotel-casino.